If you have an interest in being on Montana’s AT Council, please email anna-margaret.goldman@mso.umt.edu for more information. Mary Di Biase currently works as a Program Coordinator for Montana Youth Transitions. She is a certified Special Education teacher and has classroom experience with preschool age through high school age students. Mary has also provided job coaching services and independent living skills training, and worked as a Job Training Program supervisor for Montana Workforce Services. 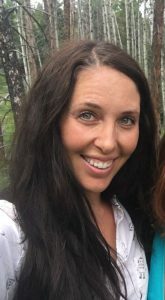 Mary has experience with curriculum development and training for parents, youth with disabilities, educators, and vocational counselors regarding transition services in Montana and how to teach employment readiness skills to youth. She holds a BA in Psychology, a BA in Special Education, and a M.Ed. in Secondary Education. Doug Doty is the Statewide Coordinator for the Montana Autism Education Project (MAEP) of the Montana Office of Public Instruction. The MAEP has autism specialists and trainers across Montana who provide training and consultation to public schools. Peter Drakos was born in Missoula. He received his undergraduate degree from Portland State in Geography and got his Masters in Urban Planning from the University of Washington in Seattle. After Graduate School, Peter lived in Seattle and worked in government as a transportation planner for the City, County, State, and Federal Governments. In 2010, Peter was diagnosed ataxia, a debilitating neurological disease. 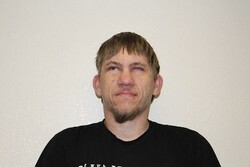 He recently left his position with the city of Seattle and moved back to Missoula with his wife and twin boys. Since his return, Peter has been immersed in social service including peer support and system advocacy at Summit Independent Living Center. He is also a board member of MIssoula’s Bicycle and Pedestrian Advisory Committee and the University District Neighborhood Leadership Team. Since his disability, he has become an advocate for adaptive technology and adaptive sports. Peter is a cycling enthusiast, currently riding a recumbent trike. 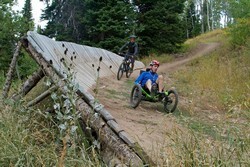 He has also taken up adaptive sports including zip lining, rafting, sit skiing, and sled hockey. Chanda Hermanson-Dudley is an advocate for competitive integrated employment for all people with disabilities. Chanda was raised in Polson, MT and went on to earn her undergraduate degree from Montana State University-Billings. She earned her Master’s in Rehabilitation Counseling from Utah State University. Chanda has been a volunteer staff member for the Montana Youth Leadership Forum since its inception in 2000. 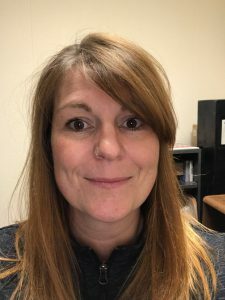 She has worked as a Vocational Rehabilitation Counselor, the Client Assistance Program advocate at Disability Rights Montana, and has served on the State Rehabilitation Council. Chanda is currently the Chief of Field Services for Montana Vocational Rehabilitation and Blind Services. Chanda has a strong interest in Assistive Technology as she sees it playing a vital role in allowing people to be as independent as possible at work, in school, and at home. Kelsey Lastowski is a Speech Technician for the Big Sky Special Needs Co-op. She also provides assistive technology information and assistance to the schools in the Co-op. Currently working on her Master’s degree in Special Education, her long-range plan is to receive her Doctorate in School Psychology. She has a special interest in assistive technology due to the unlimited possibilities it provides for individuals with disabilities. She has struggled with Dyslexia and Dyscalculia for most of her life, so she has first-hand experience with the difference technology can make. She has been able to adapt through the use of technology and uses a variety of strategies on a daily basis. Stacey McClure is a student at the University of Montana in the Communicative Sciences and Disorders leveling program. She has been a home visitor for 10 years, most recently at the Child Development Center as a Family Support Specialist. She has two teenage sons. Both are avid video gamers and fencers. Her interest in assistive technology was sparked while advocating for her children with learning disabilities to assure inclusive education and access to their academic materials. Additionally, she has assisted families of children with language and speech disorders in exploring augmentative communication and assistive technology through teaming with MonTECH’s demonstration program and loan library. Theresa McGeary, MS,OTR/L, received her Bachelor’s Degree in Social Work from the University of Missouri in 1989 and her Master’s Degree in Occupational Therapy (OT) from Washington University in St. Louis in 1995. 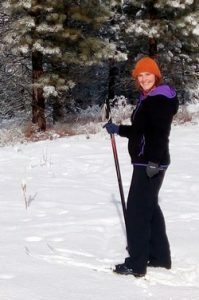 By the time she took up her career as a school-based OT in 2003, she had acquired a broad range of experience working with adults and children in a variety of settings. She worked in Lahore, Pakistan, during a polio epidemic as a community-based rehabilitation specialist. She taught health to school children in an orphanage school in the heart of the Guatemalan jungle. She has also worked in a community mental health center for people with severe and persistent mental illness and a rehabilitation center for people recovering from acute neurological injuries and burns. Currently Theresa provides OT services for students enrolled in grades K-12 in the Missoula County Public School District. 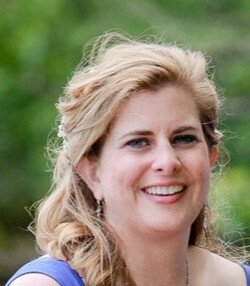 She also serves on the district’s Assistive Technology Committee. Sara Streeter has lived in Missoula for 23 years. She retired in 2015 after a 34-year career working in accounting and finance for various organizations. She currently volunteers with the Senior Medicare Patrol Program, which works to combat Medicare fraud, waste, and abuse. She also serves on her parish finance council and is a mentor in a peer mentor program for people experiencing vision loss. Her other passion is animal welfare issues. (Her dog wishes that passion would lead to more treats!) 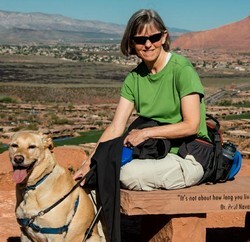 With husband Jim (and the dog), she travels and loves to be outdoors hiking, biking, and paddling a sea kayak. She is learning to bake bread and just finished her third season of attempting to grow a garden. 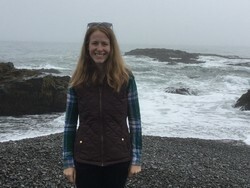 Her interest in assistive technology grew out of firsthand experience using it to deal with her own declining vision as a result of degenerative myopia. AT enables Sara to continue many activities such as cooking, reading, and using computers, and MonTECH has been integral in helping her find technology that works for her. Tom Thompson was born in Missoula, Montana. He earned a doctorate in law, but spent much of his professional life in business: business management, commercialization and financial management. He has started three successful businesses. His first dental manufacturing business was a cover article in Forbes magazine. He is the only non-dentist to serve on the board of the Montana Dental Association, and was a co-founder of MSU School of Dental Hygiene. His family has created 600 local jobs, primarily in manufacturing. Tom has worked and lived internationally. Tom is affected by ataxia, a neurological disease. The past decade of Tom’s life has been dedicated to social service organizations including peer support and system advocacy. He has been a peer advocate at Summit Independent Living Center for 10 years. He serves on several committees at his church and is a URLEND trainee undergoing special disability training. Nutrition and physical exercise have been life-long passions. 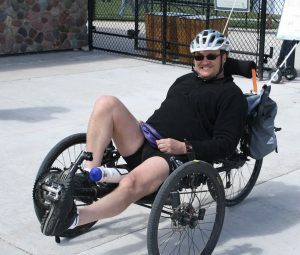 In his free time, Tom races and tours his recumbent trikes. 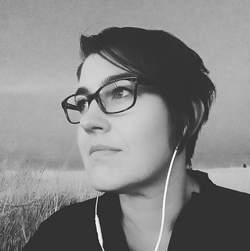 Cassie Weightman grew up in Whitehall, MT and attended Montana State University, receiving a degree in Health and Human Development. After serving in AmeriCorps in Florida and teaching English in South Korea, she began working at Montana Independent Living Project (MILP) in Butte, MT. Cassie has been the Independent Living Specialist for eight years. She loves her job and counts herself extremely lucky to work closely with individuals to accomplish their goals, work toward increasing accessibility in the communities that she serves, thinking outside the box to help increase social opportunities and connections, and working with youth on finding their passion. She is especially interested in assistive technology as she knows it is an important key to helping people reach their goals. She is also a Certified Work Incentives Planner, helping individuals understand how work impacts Social Security benefits. Cassie has worked closely with the Silver Bow Developmental Disabilities Council in Butte to create a five-station teaching kitchen, adaptive recreation programs, and most recently a food truck (debuting Spring 2018) named Dish-Ability. Cassie lives in Butte with her husband, Jon, and husky, Margo. They own a small store in Uptown Butte, 5518 Designs. At 4 years old, Ed Worrell was diagnosed with Type I Diabetes. In 2008, complications of the diabetes led to Diabetic Retinopathy and Ed lost all of his vision. He had to learn how to perform many tasks with his new vision loss. This is when he started to teach himself how to use assistive technology. 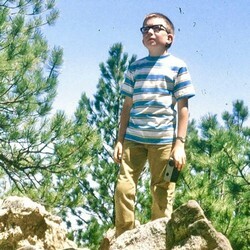 Ed has always had a love for technology and computers, and now is helping other visually impaired people learn and become successful using modern technology. Through teaching with his company OverHere Consulting (www.overhereconsulting.net), and the Montana Association for the Blind’s Summer Orientation Program, Ed can pass his knowledge on to other visually impaired Montanans. Ed uses the technology everyday to accomplish many tasks such as web programming, and running his business from his cell phone or computer.